Maj. Gen. Mizrachi: 18 abduction attempts by Hamas and Fatah foiled since November. An IDF general revealed Saturday that the Arab enemy's attempts to abduct Jews have reached unprecedented levels. 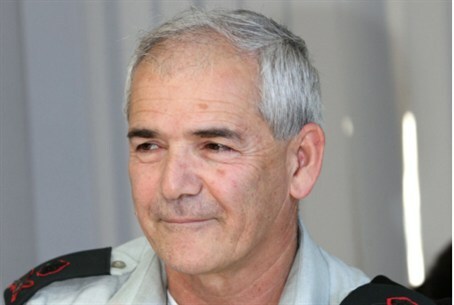 Major General Avi Mizrachi, who served as the Head of Central Command in 2009-2012, told Channel 2 television's Meet the Press, "Since November we have foiled 18 attempts by Hamas and Fatah men to abduct Israeli citizens." This number translates to a rough average of two abduction attempts per week. "This is a spike that we have not seen in the past," he added. Israelis should be "careful and alert in order to prevent the planned abductions from getting underway," he said. Asked why there is rising tension in Judea and Samaria, the general replied that "The Palestinian leaders, including Abu Mazen, have not changed their pro-terror stances."